Reynisfjara is a world-famous black-sand beach found on the South Coast of Iceland, just beside the small fishing village of Vík í Mýrdal. In this photo you can see the enormous basalt stacks and the roaring waves of the Atlantic. 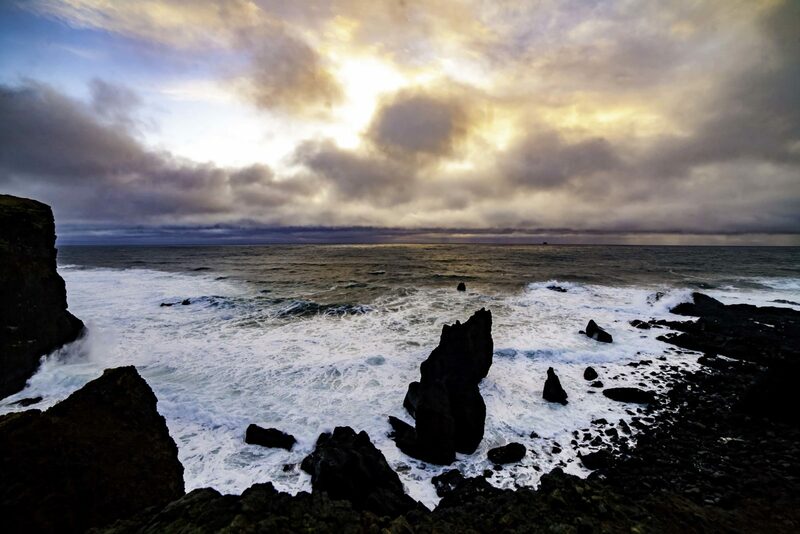 Reynisfjara is widely considered to be the most beautiful example of Iceland's black sand beaches.